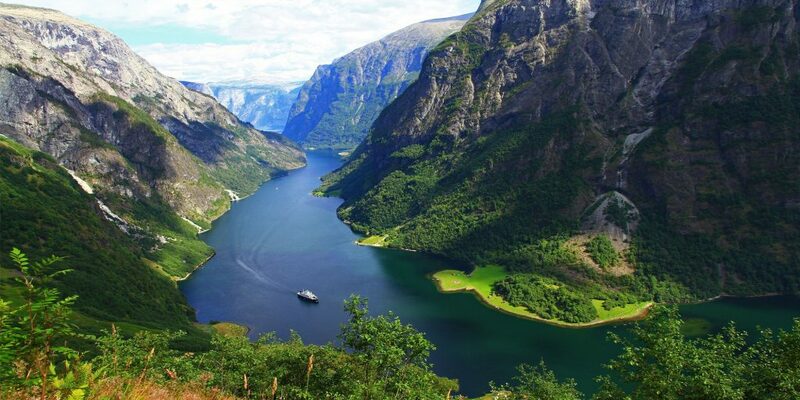 With UNESCO-listed fjords and snow-capped mountain ranges that stretch around the country, Norway offers a land of alluring landscapes to tempt any traveler. The best way to see it? By train, bus and boat — in one hassle-free day tour. Hop aboard to discover the countryside that frames the Bergen and Flåm railways, and admire Aurlandsfjord, Nærøyfjord, the village of Flåm and more. Departure from the hotel by car with your private driver/guide. You will take the road E16 towards the town of Voss. There is a stop at Tvindefossen waterfall. Move closer to the waterfall, and you will feel its freshness and coolness. Then you drive to Stalheim hotel. You can walk through the hotel to the observation desk which provides beautiful views on Nærøydalen valley – included together with the Nærøyfjord on UNESCO’s World Heritage List. After descending from the hotel along Stalheimskleiva serpentine (available from May to September only), you come to the village of Gudvangen located at the end of Nærøyfjord – one of the sleeves of Sognefjord. From there you depart on a Premium fjord cruise along Nærøyfjord and then from Aurlandsfordu to Flåm on the ferry. 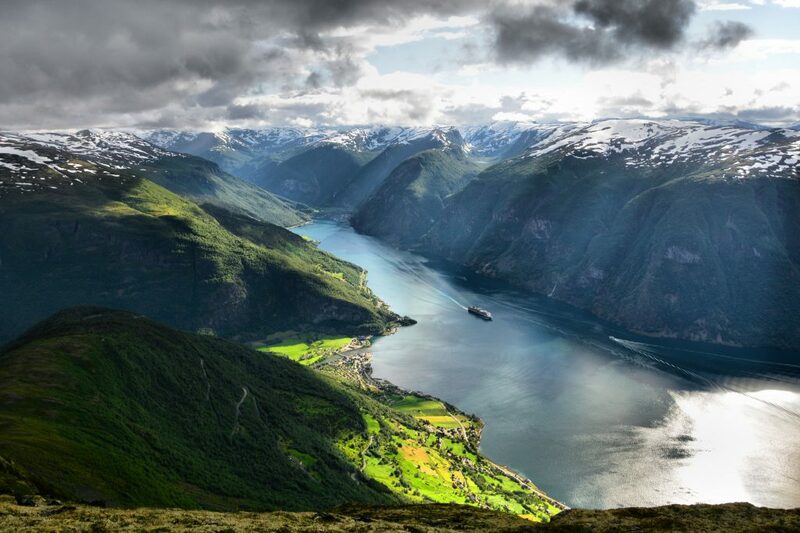 This part of Sognefjord was added to UNESCO’s World Heritage List in 2005 due to its beauty. Upon arrival in Flåm you will have some free time to have lunch, visit souvenir shops, a museum of unique Flåm Railway or the local Ægir brewery. Next you board the famous Flåm Railway train to go up to Myrdal station located at the height of 867 meters above sea level. Along the way, you will see breathtaking views and have a stop at Kjosfossen waterfall, where you can get off the train and take some unforgettable pictures, and – if you’re lucky – you can see the mythical inhabitants of these magical places. In Myrdal, there is a train change to Voss. Upon arrival to Voss you can take a short walk in the center, see the medieval church built in 1277 and see a stone cross that commemorates the conversion of Norway to Christianity (1023). Return to Bergen from Voss by car. Arrival in Bergen.